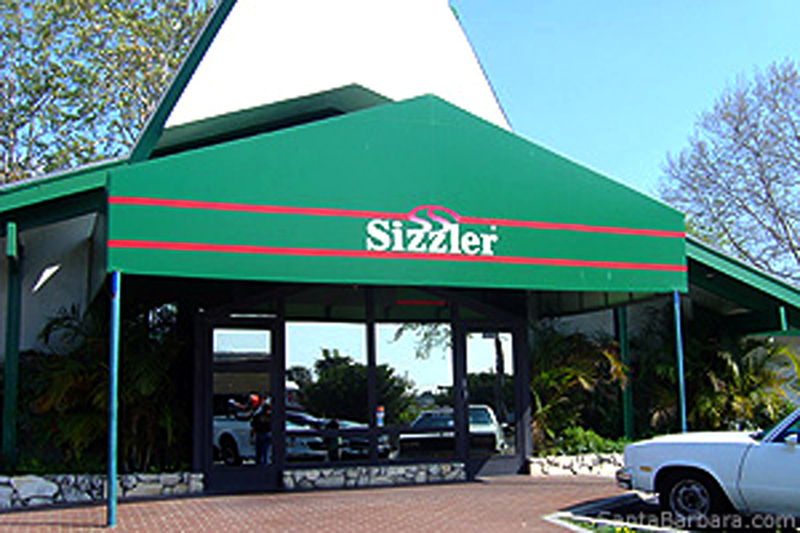 To most Goleta folks, this is a picture of the now closed Sizzler restaurant. Big deal, right? 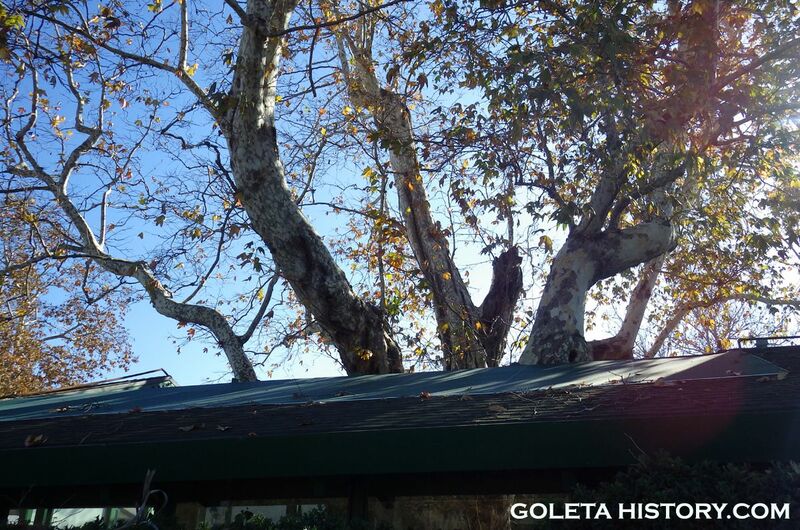 But nestled in the clutches of this empty restaurant is a centuries old sycamore tree that has witnessed the change of Goleta from bean fields and dairy farms to concrete and traffic jams. 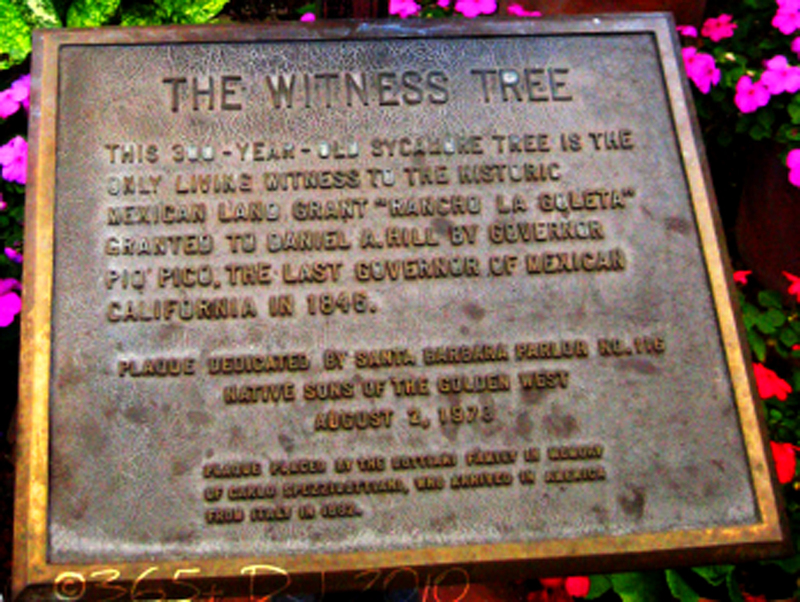 It’s called the Witness Tree, but it’s called that for a different reason….. 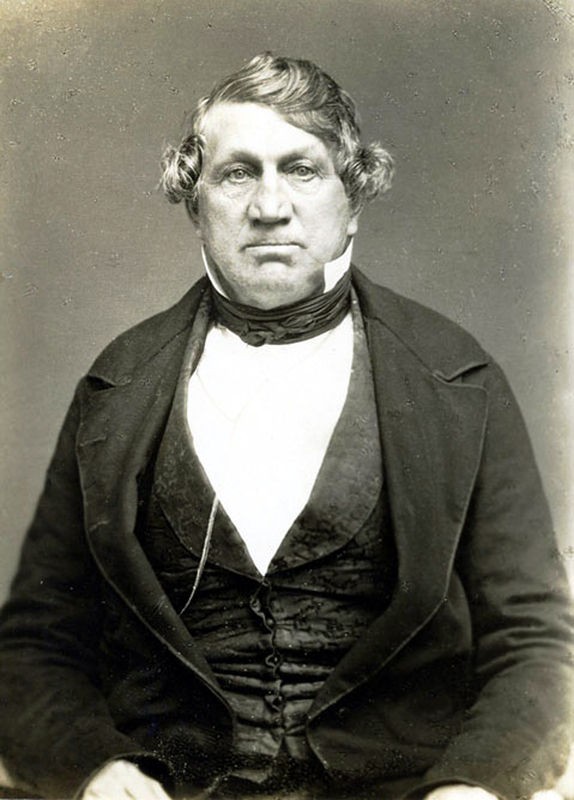 This serious looking dude is none other than Daniel Hill. Goleta’s first Gringo mover and shaker. 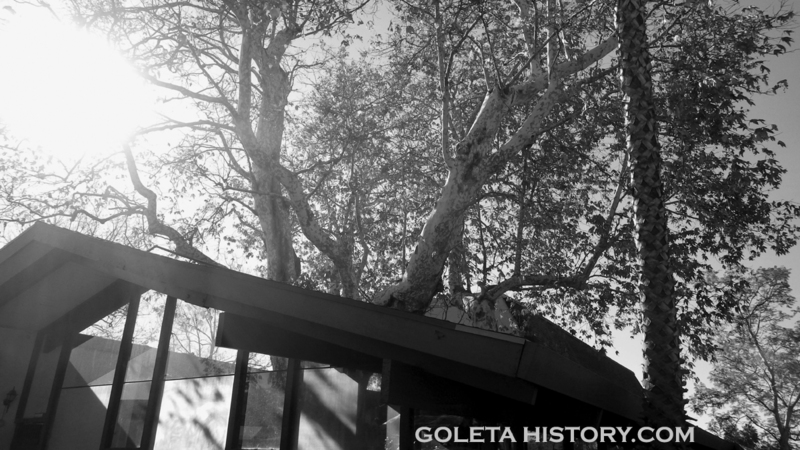 He deserves his own Goleta History page, so for now, we’ll just mention he was a prominent citizen that changed Goleta and Santa Barbara in a lot of ways. 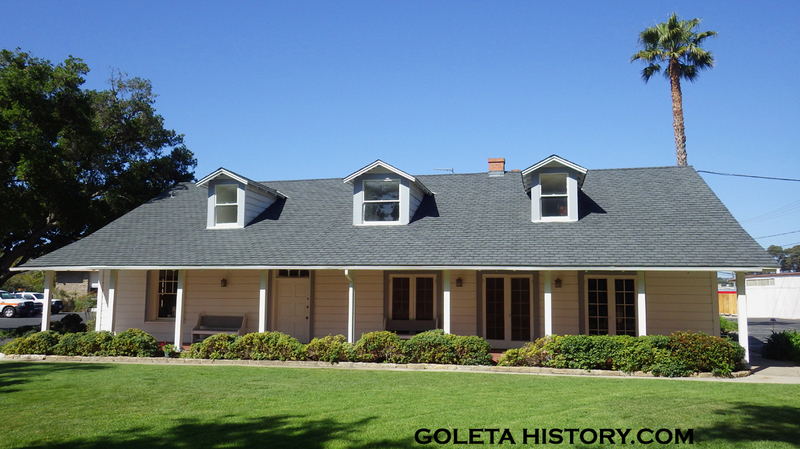 In the mid 1800’s, he was thriving in Goleta as a carpenter, stonemason, farmer and a cattle rancher. 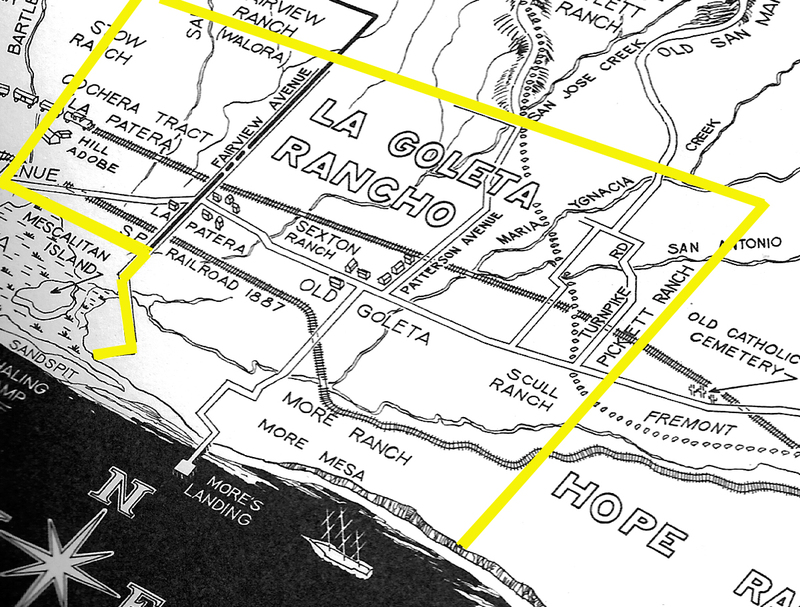 When times were good, Daniel Hill owned the La Goleta Rancho, which ran about from Fairview Avenue to Hope Ranch, the foothills to the sea, as well as the Cochera tract, that ran from Los Carneros to Fairview, the slough to the hills. 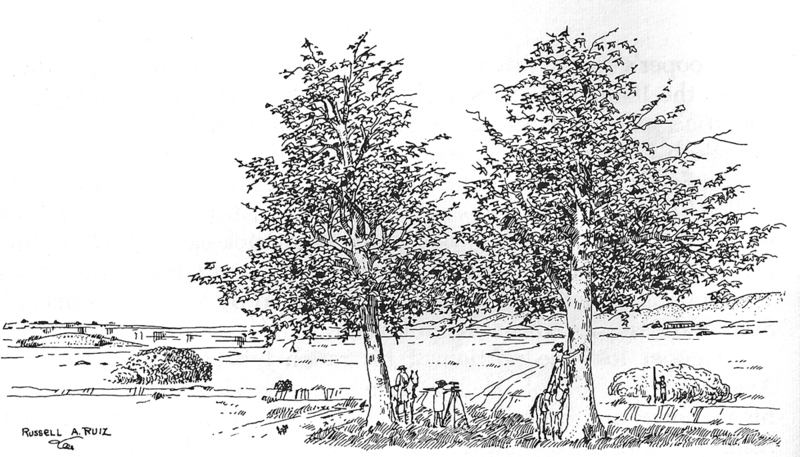 Real estate boundaries were determined in pretty loose terms back then, and things like boulders and trees were often used as markers. 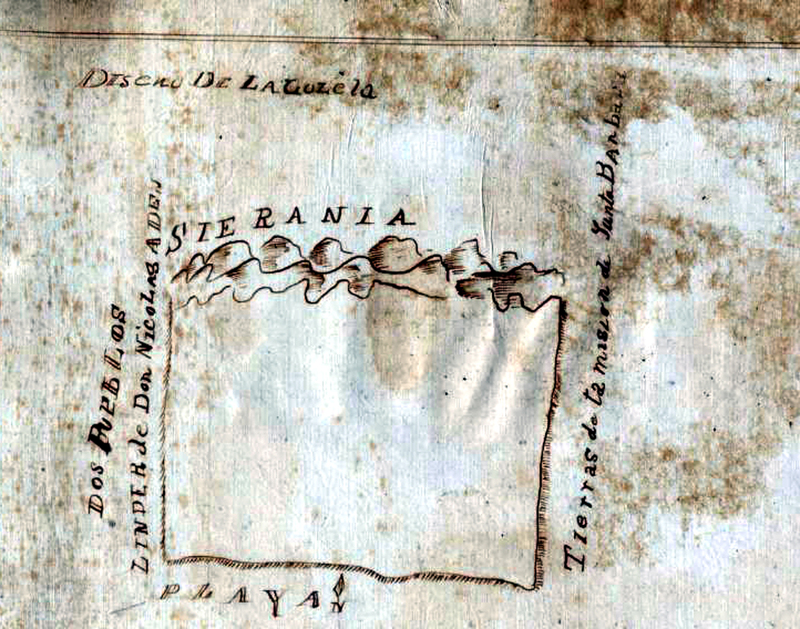 For example, this is the original map of the La Goleta land grant, not too precise. Overlooking the Goleta Slough on the Cocheras tract, Daniel Hill had built this fine hacienda that he lived in with his large family for about 15 years. It’s still there and beautiful today at 35 south La Patera. 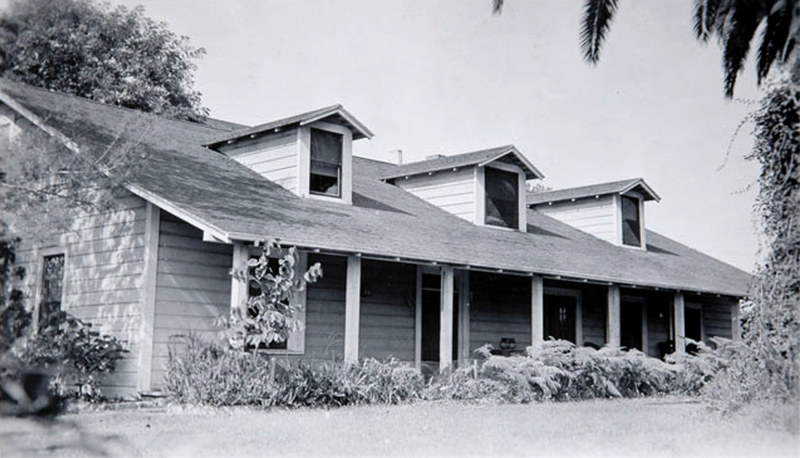 Daniel loved his home in the Goleta Valley, and in the 1860’s he was making real good money in the cattle business, until disaster struck. 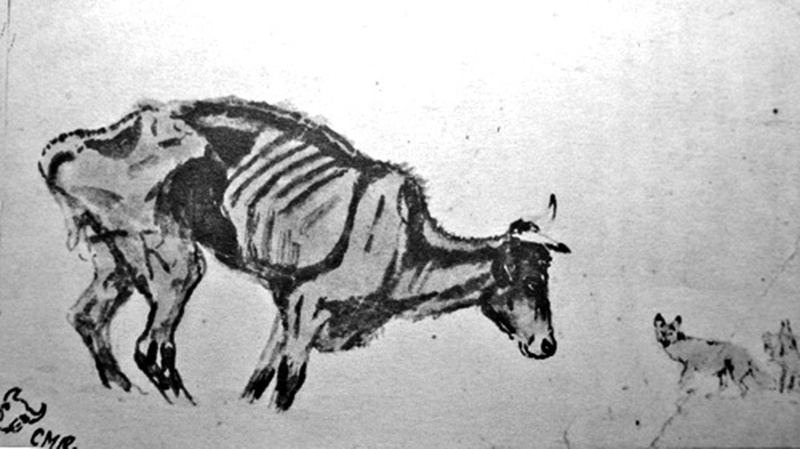 The Great Drought of 1863 caused the majority of Daniel’s cattle to die, thus depleting his main stream of income. Struggling to pay his bills, he had to start selling off his precious land.In 1864, he was in in danger of losing his home and all his land to foreclosure, so he filed a homestead claim on roughly a quarter of his property. His hope was that would protect him from the tax collector and creditors. 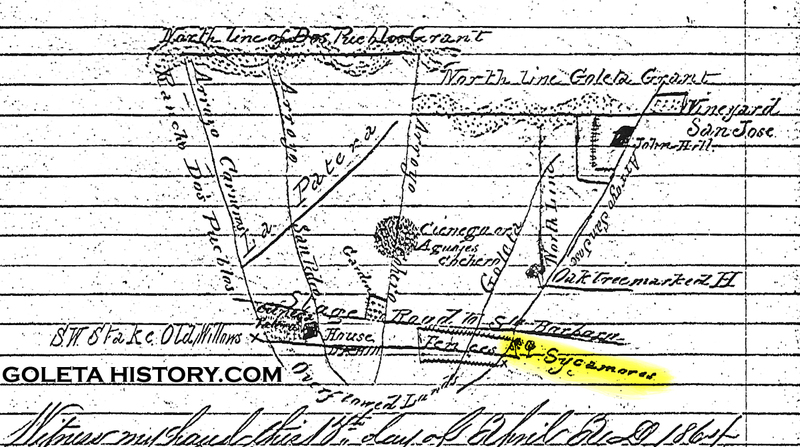 This is the actual map of Hill’s homestead claim we found in the county courthouse Hall of Records. Highlighted in yellow you can see a crude drawing of two trees labeled “sycamores”. We’re assuming the one on the right would be our beloved Witness Tree. 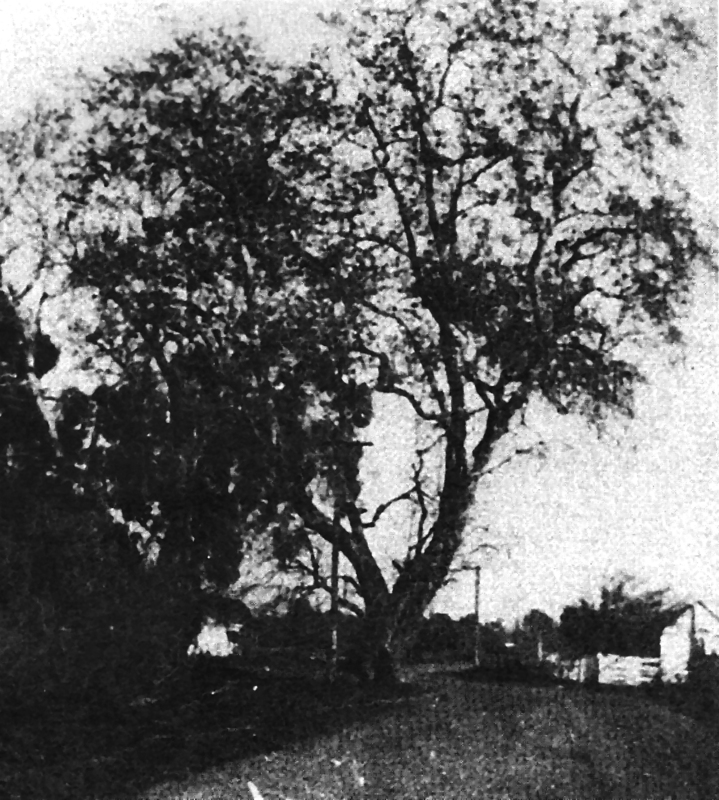 An early photo of the two large sycamore trees where the stagecoach road crossed over San Jose Creek. One sycamore marked the actual corner, and the other was used as the “witness stake”, a safeguard used by surveyors in the case the main marker was destroyed. That second tree is the one that still stands today, the marker tree being cut down when Hollister Avenue was realigned. 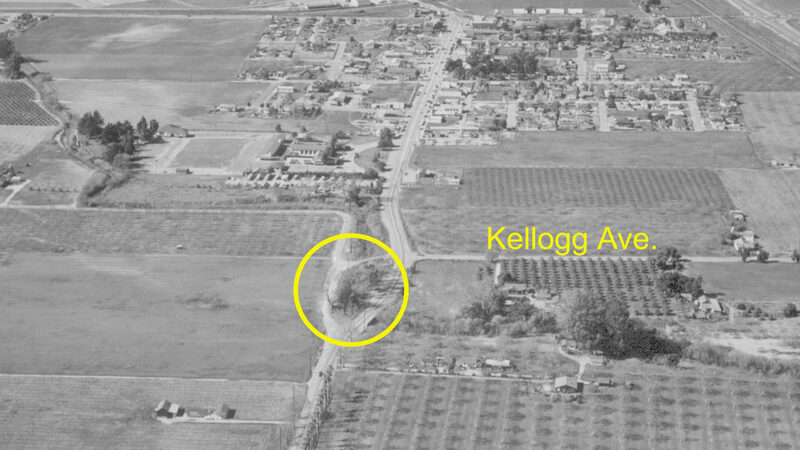 Circled is the Witness Tree in 1950. Notice the path that San Jose Creek followed back then. 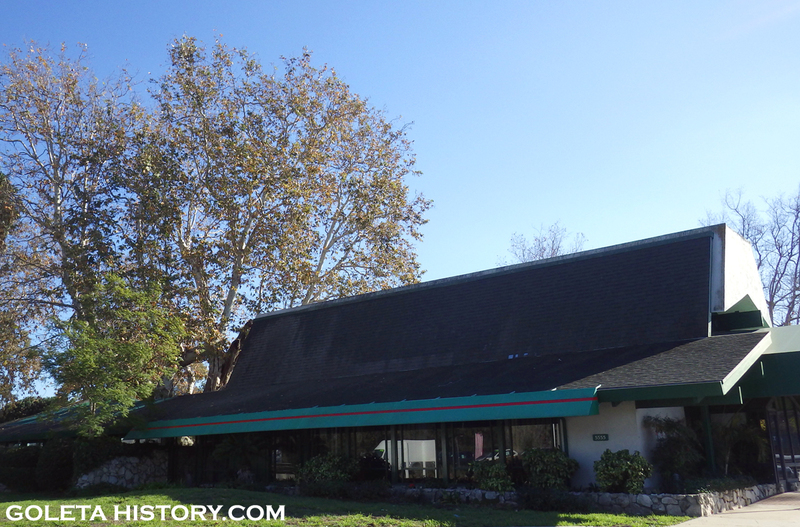 By 1966, the owners were the Bottiani family, and Vic and Carlo Bottiani decided they wanted to build a restaurant at this location. They assembled a team of investors, including Sam Battistone and Newell Bohnett, the founders of the Sambos chain. They hired Louis Mazeti, a well know architect, to design the building around the tree, preserving it for future generations. An amazing feat of forward thinking that we still can enjoy today, thank you Bottiani family! 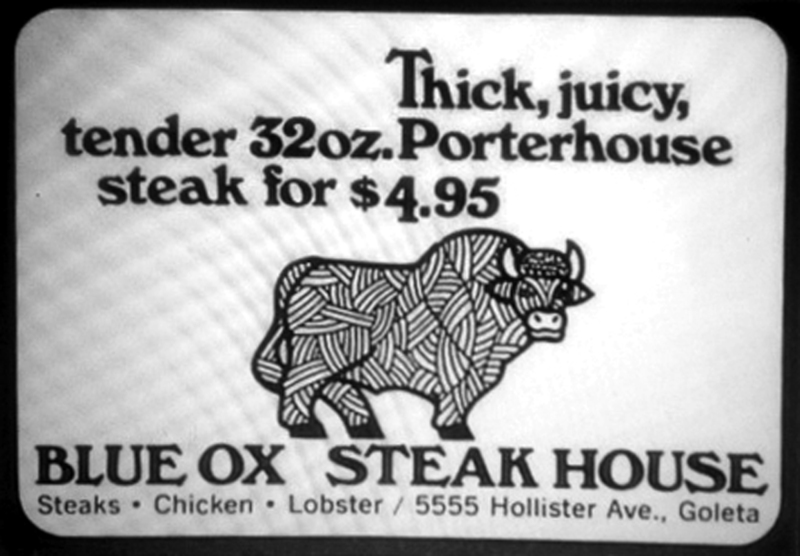 The Blue Ox thrived for 15 years under the management of an ex food and beverage man from the Tropicana Hotel in Las Vegas, Joe Guglimino. 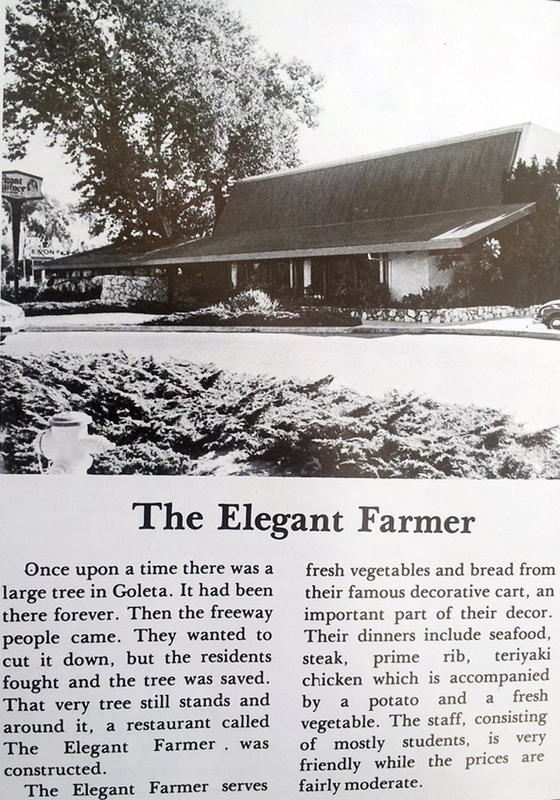 After the Blue Ox, it became the Elegant Farmer, and they used the Witness Tree to promote their beautiful restaurant. And why not, it is an amazing specimen, and it’s presence inside of a building is imposing. 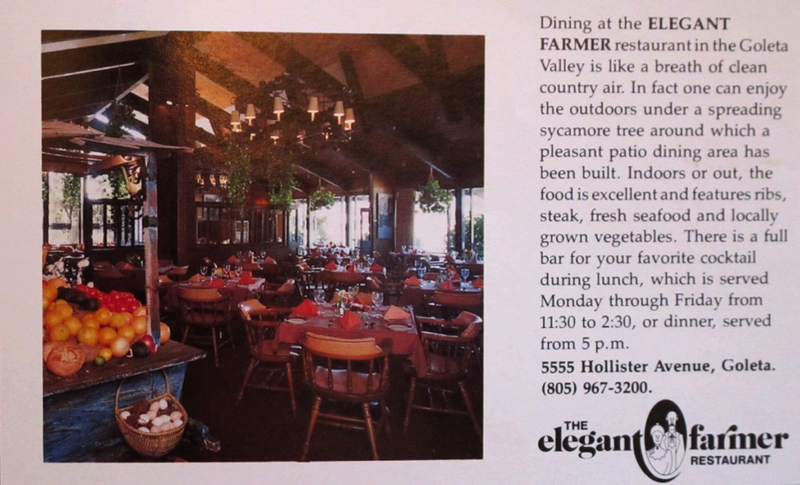 After the Elegant Farmer came the Sizzler, an uninspired chain restaurant that largely went unnoticed. In 2012, the doors were closed. 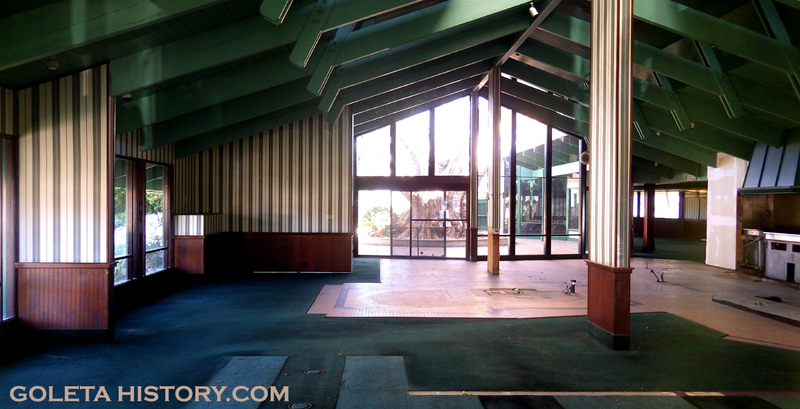 Today the building sits empty, waiting for an inspired entrepreneur to come bring it back to life. 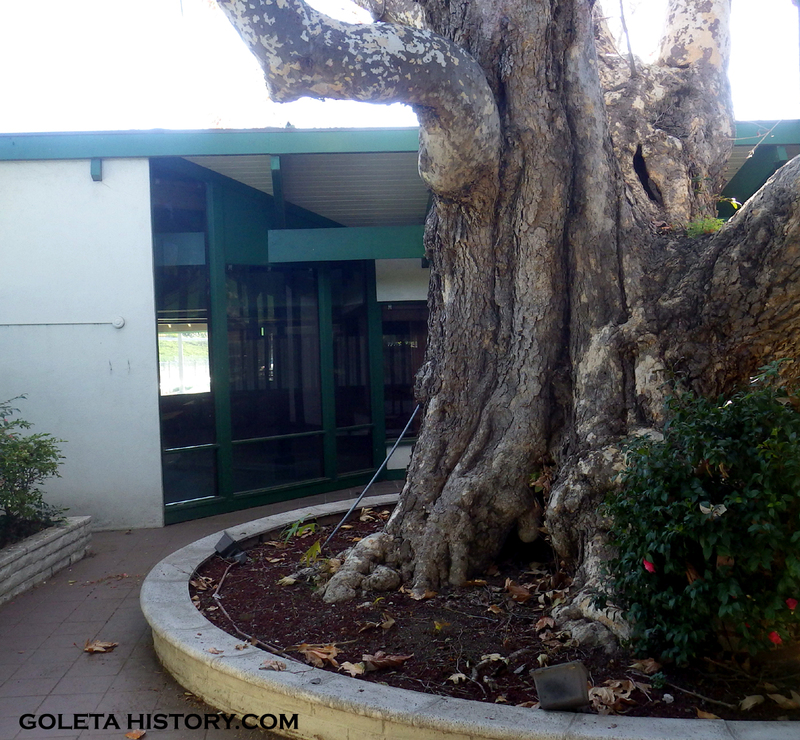 And through it all, the Witness Tree continues to survive, despite all the concrete surrounding it. 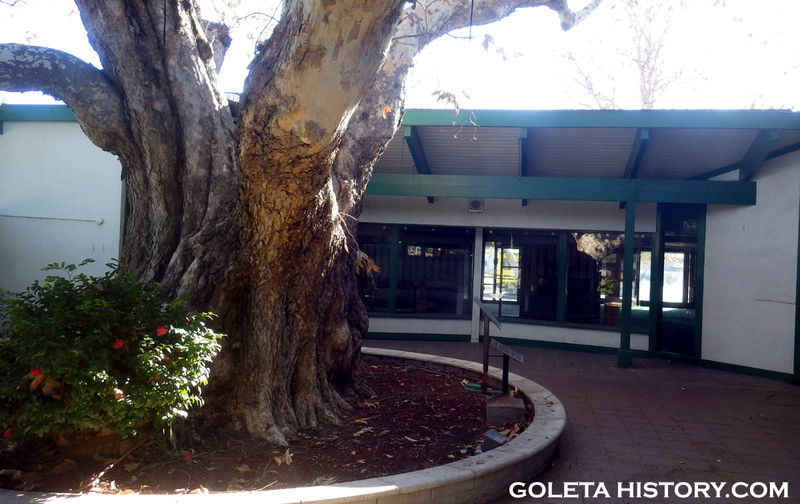 If this tree could talk, it would have tales of Chumash villagers, Spanish explorers, Mexican rancheros and Yankee farmers. It really has been standing there that long. It’s watched the Good Land change from wild lands and pastures, to bean fields and orchards, to asphalt and automobiles. This really is a Witness Tree, not just to the corner marker of an old property line, but to the inevitable progress and evolution of a community. 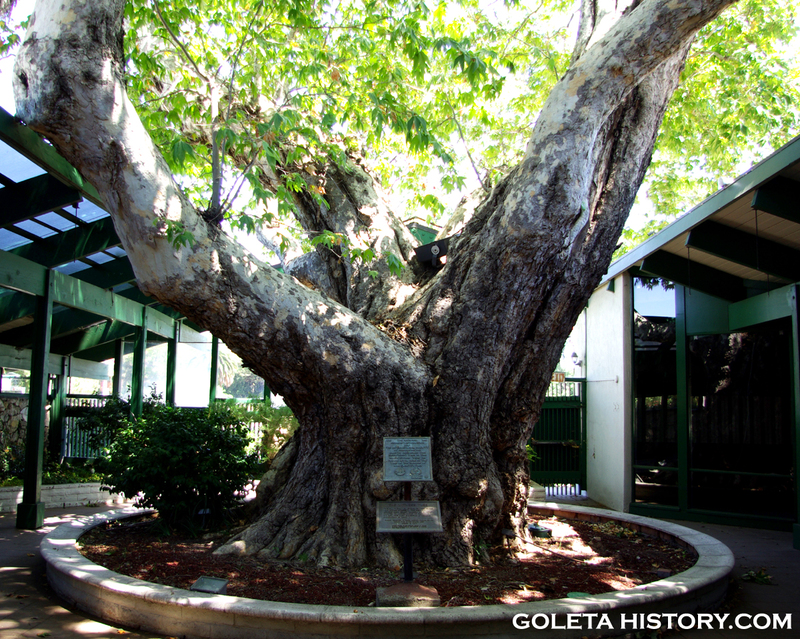 Do you know anything about the history of the yucca in SB County? Is it native or was it brought here? Hi Tom this is now the new Butler Event Center. I have read several of your articles and have really enjoyed them. Thank you for sharing your time and knowledge.